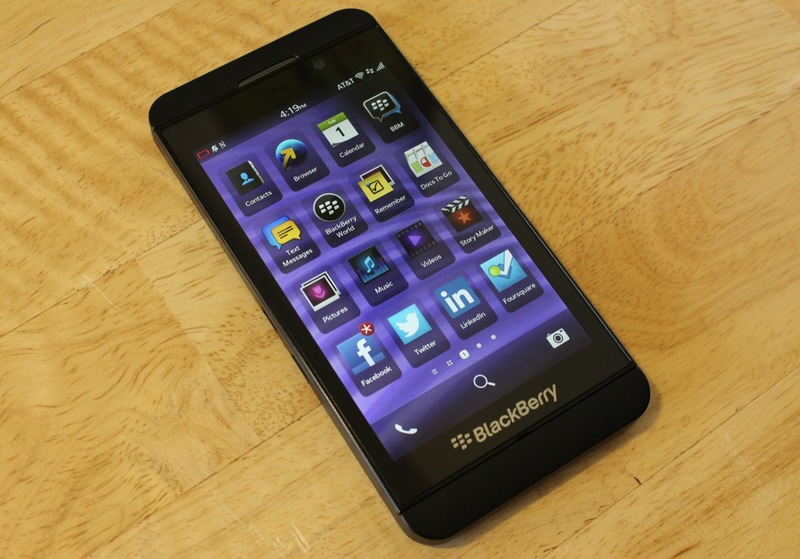 With a tall build and rounded edges, the new BlackBerry Z10 does kinda look like a black iPhone 5. Now that that’s out of the way, it’s time to assess how exactly Research In Motion’s (now BlackBerry’s) latest phone measures up. 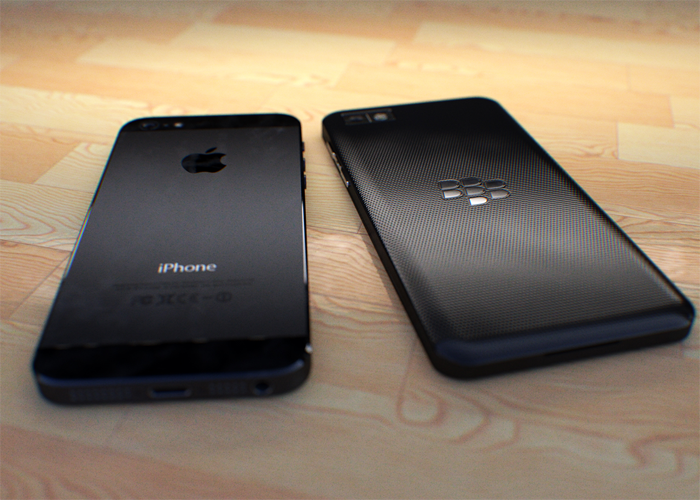 Does its pseudo-copying of Apple’s flagship phone signal that BlackBerry is finally ready to play? Or, looking at it from another angle, does it mean that BlackBerry has only been able to play catch-up, not really bringing anything new to the table? We’ve covered the Z10 vs iPhone 5 debate before, but lets delve in to a bit more detail. As with most everything, the differences are in the details, and the Z10 vis-à-vis the iPhone 5 is no exception. A more thorough look at the phone would reveal that unlike Apple’s product, the BlackBerry Z10 doesn’t have any on-face buttons whatsoever. Operating the phone is dependent upon a series of gestures which may seem hard to get a handle on for most casual consumers weaned on the button-and-touch interfacing combinations of current phones. Nevertheless, BlackBerry’s system isn’t really all that hard to master, either. It’s merely initially unfamiliar, as opposed to frustratingly alien. While the iPhone 5’s build is arguably sturdier, the BlackBerry Z10 is a bit more comfortable to hold owing to its slightly more contoured edges, as well as its textured back panel that affords more grip. And despite being just a tad bigger than the iPhone, it still fits comfortably in a standard-sized pocket. One of the more prominent selling points of the iPhone 5 when it was first announced was that it would incorporate Apple’s patented Retina Display technology, which allows for high-res displays on any given gadget screen. In the iPhone’s case, Retina Display showcased 1136 x 640 pixels with a pixel density of 326 ppi, which was indeed impressive considering most phones then had screen resolutions of around the 900 range. While the iPhone’s Retina Display can still hold its own, many more phones have come out since which rival the technology. In the BlackBerry Z10’s case, its screen has a resolution of 1280 x 768 at a remarkable 355 ppi. 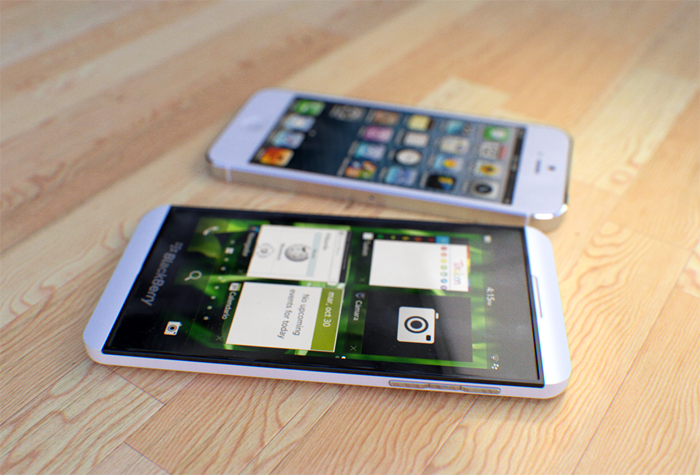 The Z10’s screen is also slightly larger than the iPhone’s making its ppi that much more impressive. As for its cameras, the BlackBerry Z10’s front cam can shoot pictures in 2 MP and can record 720p videos. Taking it up several notches, the back cam captures photos at a staggering 8 MP, and can record 1080p videos. It could be said that the Z10 is merely the platform for the actual technology BlackBerry is using to re-emerge in the smartphone market. The technology in question is, of course, the BB 10 operating system, and it’s everything BlackBerry promised it would be. First up, we have the OS’s virtual keyboard. BlackBerry had been a company long known for its support of the physical keyboard, which it did with great success. That said, the company did venture into virtual keyboards to try and keep in touch with a world slowly but surely gearing towards touchscreen-based everything. However, the company’s early forays were largely failures, mostly because its programs were designed for use with physical keyboard-equipped BlackBerry phones first and foremost. This time around, though, all apps have been designed from the ground up for use with the virtual keyboard-championing BB 10 OS, and the company is all the better for it. Not only is the OS’s keyboard as functional as it’s expected to be, but it also incorporates features like more intuitive word suggestions and more natural word correction integrations so it should quickly become the industry standard in a few months’ time. The OS also has all the expected bells and whistles of current-gen mobile operating systems, but one more feature separates it from the pack. It has the so-called TimeShift photography mode wherein if a picture is taken, the phone also records a few frames before and after the shot so that the photographer can sift through and find one which captured the best image (a frame where the subject’s eyes aren’t closed, for instance). So, does the BB 10 have what it takes to save the-company-formerly-know-as-RIM? You can look at it in two ways: On the one hand, the OS (and the phone it is housed in) have successfully brought the company into the current-gen playing field. On the other – its great virtual keyboard aside – the BB 10 isn’t exactly what you would call a revolutionary product, so iOS and Android fanboys don’t really have a reason to change their respective allegiances. In the end, it all boils down to whether you want to give BlackBerry a chance now that it has its foot back in the door; which is what most reviving companies can ever really hope for, frankly.